Enjoy these Meal Planner, Budget & Coupon Shopping List Free Printables. Your download will include all there pages and you can print one or print them all as your needs require. My most used printable is the Weekly Menu Planner List. This helps me plan my menus along with this Menu Planner Printable and keep organized with what I need to actually purchase. Click the picture above to start your own download or click the link below. Not quite the menu shopping printable your looking for? 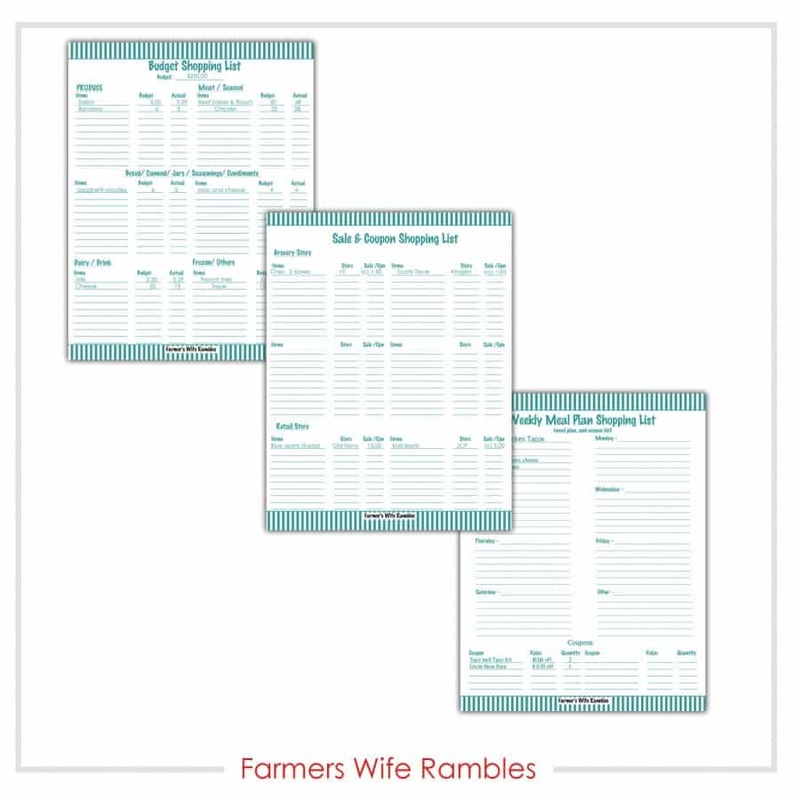 See these other menu planner and grocery shopping printables. These printables are super. They are very useful and helpful! I do need help with my organizing and planning.